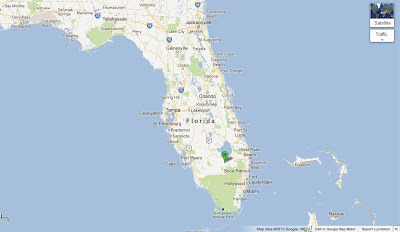 Back on January 10th, Dori Sosensky and I spent a day birding interior southern Florida. 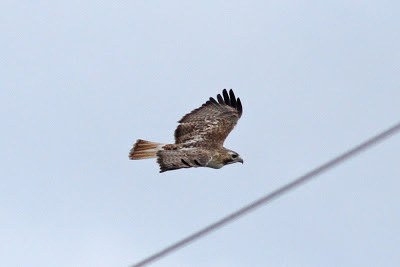 While Dori gave me a wide-ranging tour of this fascinating area, the focus of the day was to observe and photograph Red-tailed Hawks along Miami Canal Road in Palm Beach County. 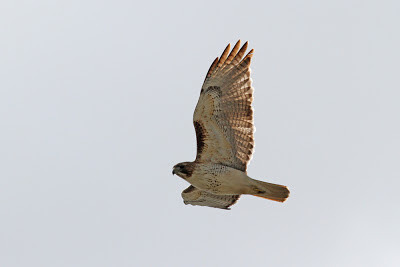 Dori had spoken several times of the wonderfully variable Red-tailed Hawks, including some Krider's, that winter here. This really piqued my interest and I was looking forward to checking them out. This stretch of road cuts through agricultural land and is lined by tall powerlines that serve as perfect buteo perches. During more than two hours spent birding this road we had about fifteen RTHA sightings that, by photographic analysis, proved to be 11 different birds. They varied drastically in their plumage as you'll see below. 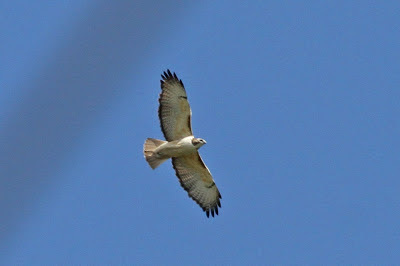 I'll start with the palest, most Krider's-like birds and move on from there. Several of these photos are quite poor and are meant for documentation purposes only, but I think they are still useful in illustrating the variation we encountered. As usual, click each image for a larger version. 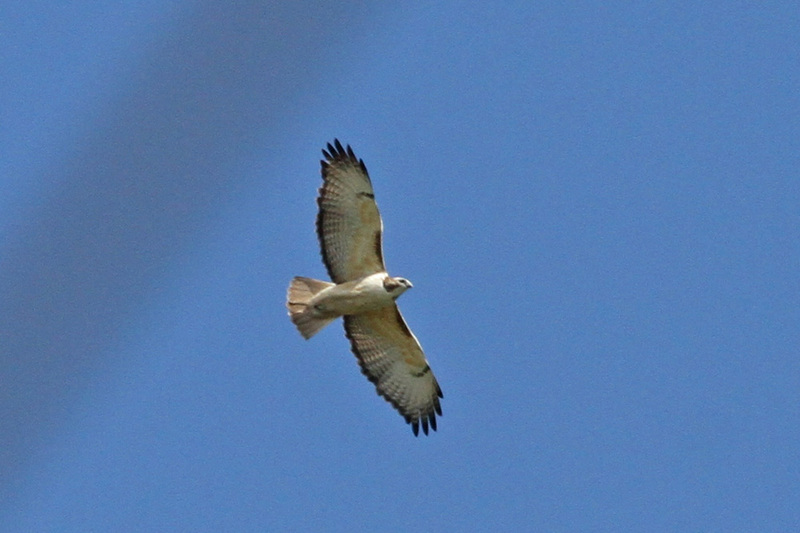 Note white base to tail, white mottled upperwing, overall pale head (particularly forehead and auriculars) with contrasting dark malar and crown, lightly marked belly band, rufous-brown patagials. Very similar to Bird #1. 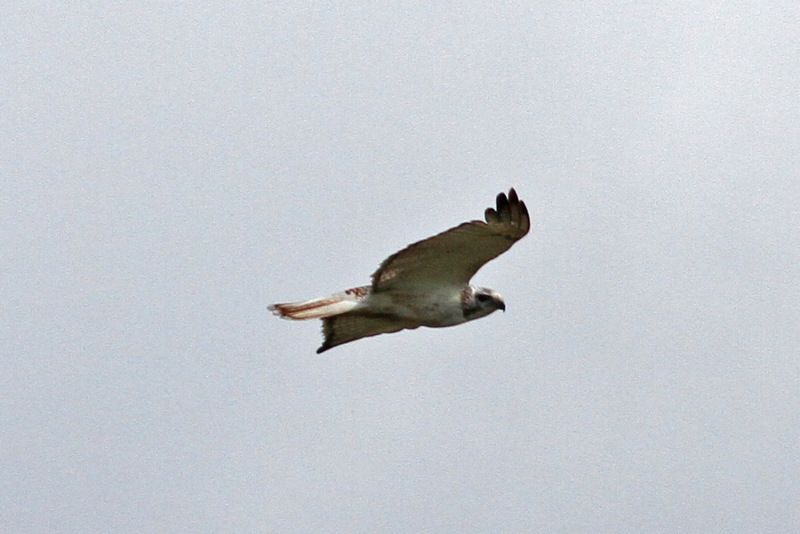 Note white upperwing mottling, whitish head with dark malar, extensive white tail base, very faint patagials, lightly marked belly band. At one point this bird climbed into a soar and interacted with a darker bird (Bird #5) before returning to a telephone pole. The differences between the two birds are stark enough that I do not have to label which is which. 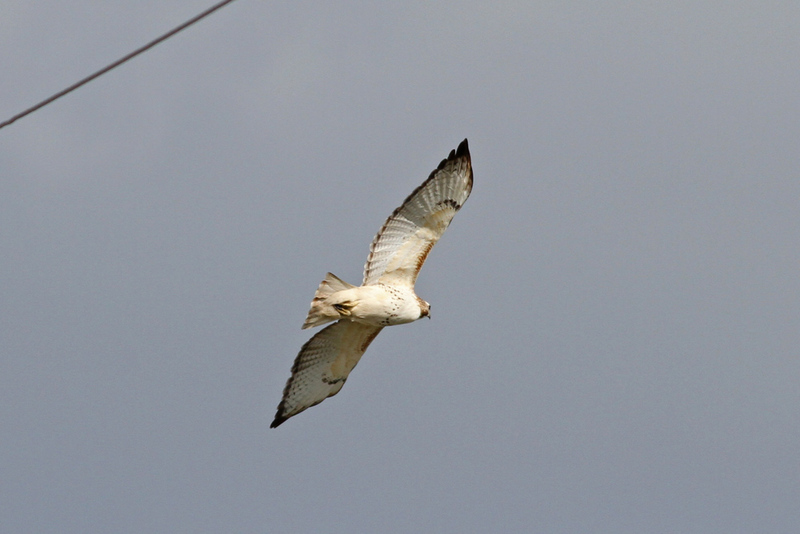 Never saw this bird terribly well but it gave the impression of being perhaps the whitest bird of the day. Essentially no belly band, white head with dark partial collar and malar, very faint patagials, very pale tail with significant amount of white basally. As for these pale birds, I'm not quite sure what to call them. If not Krider's, they can at least be called Krider's-like or possible Krider's intergrades. 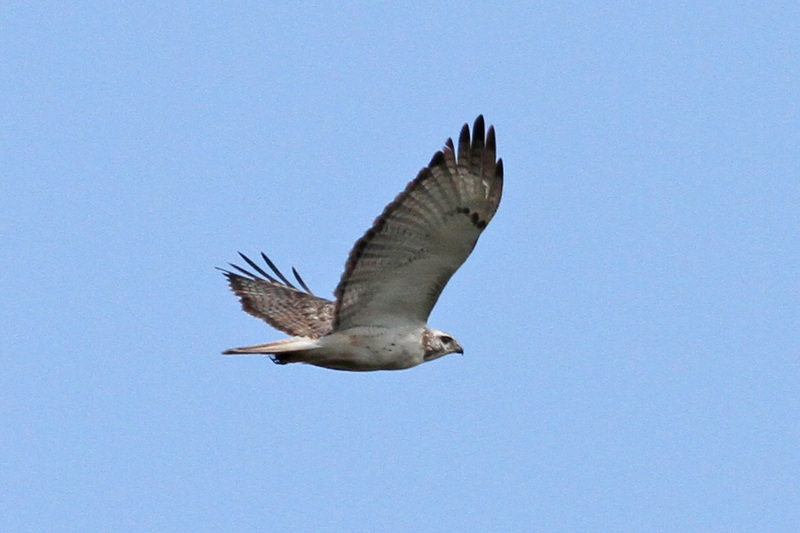 All three show at least some features associated with "Krider's" Red-tailed Hawks such as pale head, faintly marked underparts, white tail base, and pale upperwing mottling. 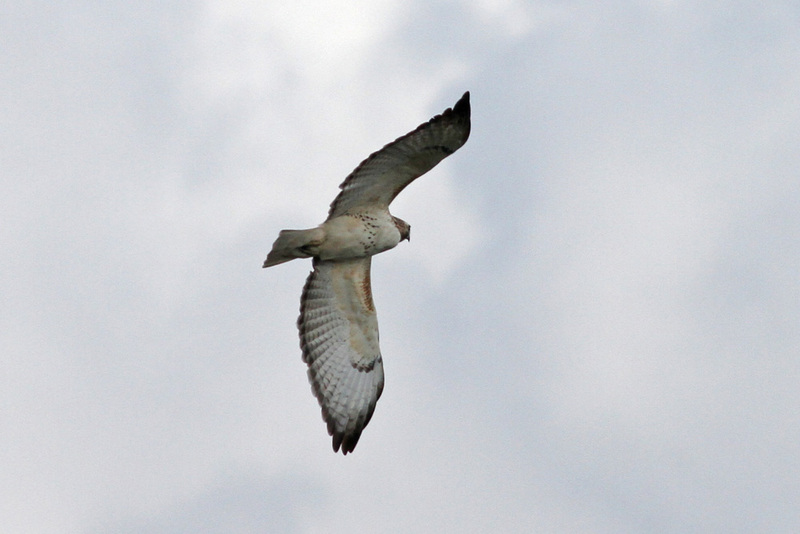 But none are ghostly white birds like some of the adult male Krider's pictured in various guides and articles. 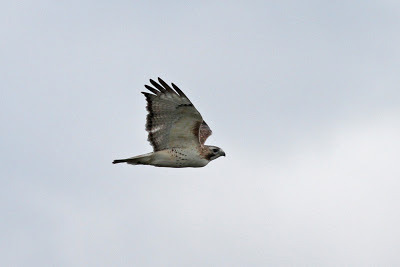 For an instructive read, check out this recent article on Krider's Red-tails by Jerry Liguori and Brian Sullivan. Whatever they are, they're beautiful. 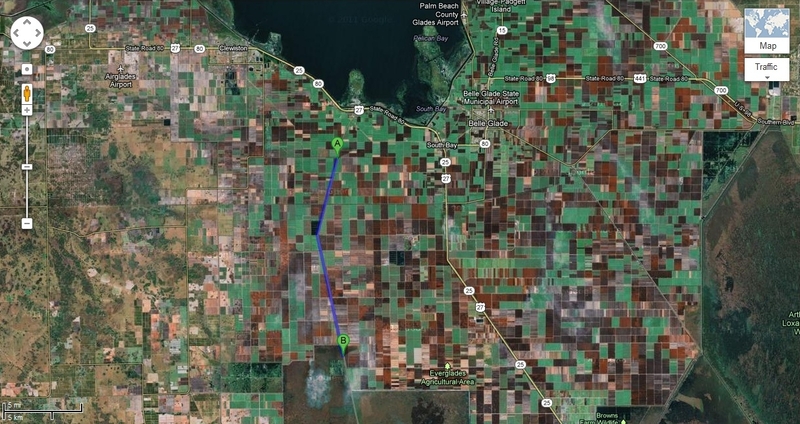 This part of Florida has a distinctly central/western avian feel to it; we had three Swainson's Hawks along this road, and there is a nearby small wintering population of Scissor-tailed Flycatchers and Western Kingbirds. **The remaining eight birds are darker but show a great range of variation. 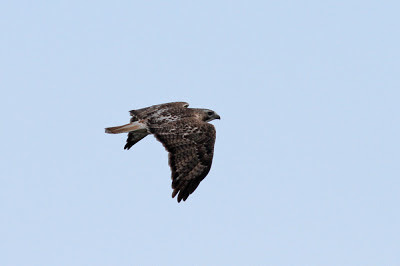 One of the most richly marked birds below, with big dark patagials, a buff ground color to the body and wing linings, dark mottling in the throat, and a belly band consisting of far more horizontal barring than vertical streaking. The only other RTHA we had with definite dark mottling in the throat, and similar in other ways to Bird #4 as far as the underparts go. This is the bird that got into the tangle with Bird #2 above. Big, dark patagials on this bird too, but a clean white throat as one would expect in your typical "Eastern" Red-tailed Hawk (ssp. borealis). Another well marked bird, this one has a white throat with a bold collar. One of the heavier belly bands of the day. Another heavy, blotchy belly band. 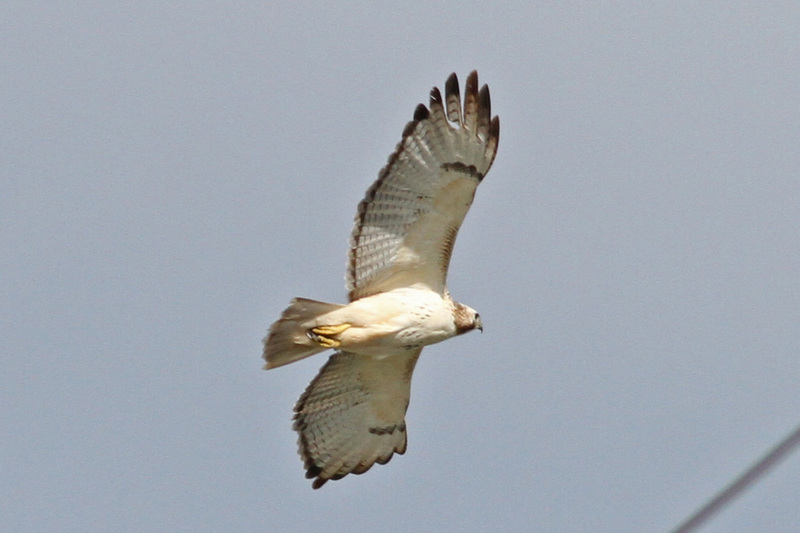 This bird was checked closely and is certainly different from #7. Throat color unclear. A cool bird, this one richly buff on the wing linings and flanks, but with a very whitish breast. Not much of a belly band at all. Extensive white scapular patches but little upperwing mottling. Pretty dark patagials and mostly, if not entirely, red tail. This bird is distinctive by its combination of light markings below (lighter brown patagials, very faint belly band except for some flank barring) and dark upperside (deep red tail, dark back and upperwings). 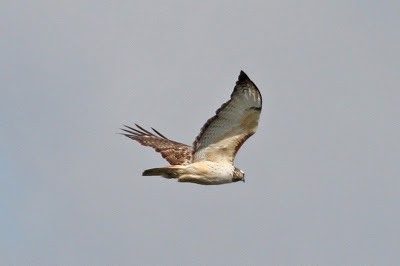 Very similar to #10, this one still separable despite poor photos thanks to flight feather detail (distinctive wear pattern on this bird versus #10). It would be instructive to find out where each of these birds breed. They all seem (to me) to be of the Eastern subspecies group, which to most authorities includes "Eastern" (borealis), "Krider's" (krideri, if it exists as a legitimate subspecies) and "Florida" (umbrinus). As noted above, the paler birds may be Krider's, and if so, they should have come from the northern Great Plains. As for the darker birds, I don't even have a good guess, though one would assume that during winter northern borealis augments, and likely outnumbers (? ), the local umbrinus population in these parts. Variation within each subspecies gives me low confidence in identifying wintering individuals. Liguori, J. & B. Sullivan 2010. 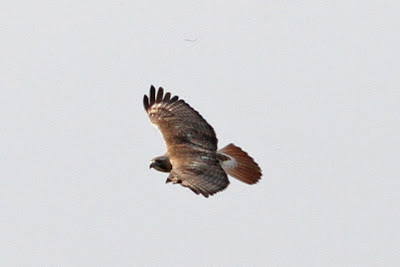 A study of Krider's Red-tailed Hawk. Birding 42(2):38-45. Wheeler, B.K. 2003. 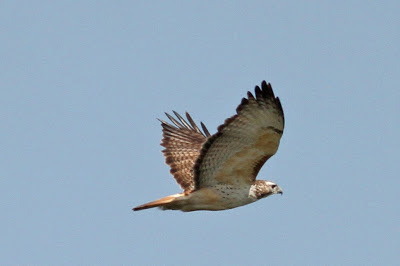 Raptors of Eastern North America. Princeton University Press, Princeton.